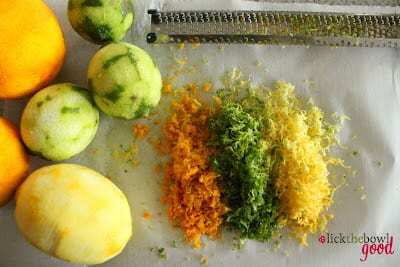 I always have fresh citrus fruits in the kitchen close at hand – you know, just a couple of lemons, limes and oranges. The juice and/or zest of any of these can be shaken into a fresh vinaigrette or sprinkled onto seafood or meat just before serving, or mixed with some yogurt, mayonnaise and a little sweetener for a fruit or vegetable dip. You never know when some fresh zest will come in handy as an addition for cakes, pies or frosting. As little as 1/2 of a lemon can make a big, wake-up-flavor difference. And a flavor enhancer to packaged food. congested sinuses and something pleasing and fragrant to give him hope he would recover. Normally, I don’t buy prepared, pre-packaged food, but Richard, in a weak moment, bought some frozen orange chicken at Costco. OK, not a big deal – heated the chicken in the oven according to directions, made the rice. In a small saucepan, I added the frozen, syrupy goo that was supposed to be the sauce for the meat. I dolled it up with zest from a fresh orange, squeezed orange juice, 1/4 teaspoonful crushed red pepper flakes, and about one tablespoonful of soy sauce. The orange and crushed peppers really came through in the sauce, and had the desired effect. For a little while at least, my husband was able to breath a little easier and enjoy his meal.